A family visit to Jaipur over a long summer break proved to be a revelation for high school junior Ashita Dhadda. “I saw my cousin brother struggling with spinal muscle atrophy, a genetic disorder that left him unable to walk. He underwent multiple excruciating surgeries before he turned 21,” said Ashita, a junior at Dwight Morrow High School/Academies at Englewood, New Jersey. This inspired Ashita to start volunteering at Jaipur Foot, which has rehabilitated over 1.7 million amputees and polio patients by providing them with artificial limbs. The eponymously named Jaipur Foot made of rubber instead of carbon, famous the world over for providing a low-cost solution, is the brainchild of the organization. 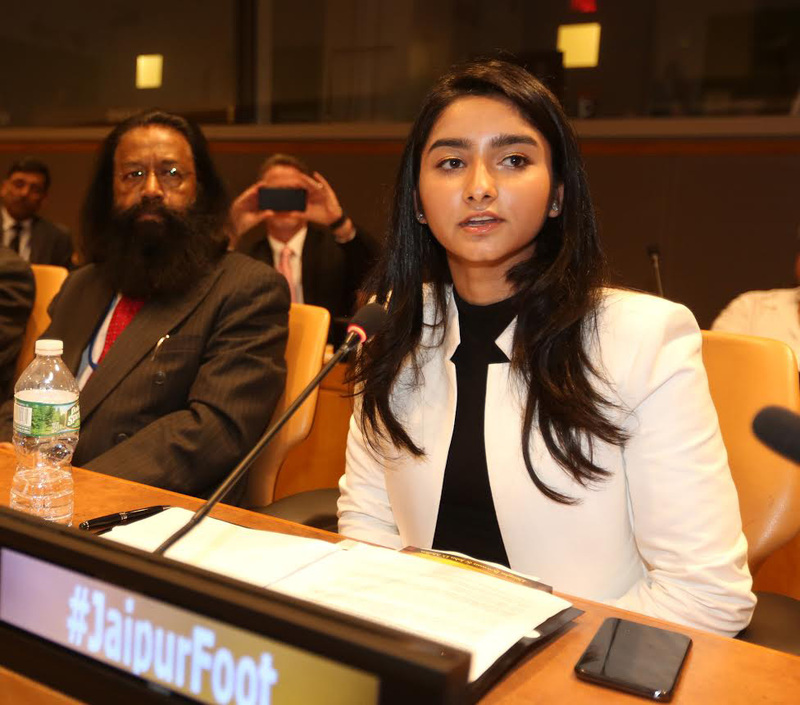 Ashita has since established a nonprofit, Prosthetics for Change, a grassroots organization that began as a school club and has since become the first US subsidiary of Jaipur Foot. Well-known US businessman Prem Bhandari, chairman of Jaipur Foot USA, is chief advisor to Prosthetics for Change. Ashita is a passionate disability rights advocate and has been invited to speak at two debates at the United Nations, in New York. In June this year, she spoke at the Convention on the Rights of Persons with Disabilities. Volunteer work is seen as one of the classic indicators of college admissions in the United States. 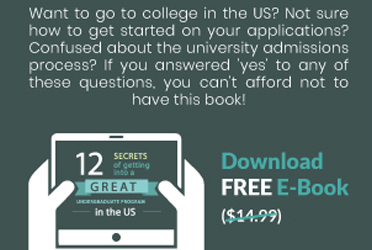 However, some colleges give it more importance than others. For instance, on a on a scale of 1-4, 4 being the most important, Princeton rates volunteer work as 2 out of 4, while the College of William and Mary, a great liberal arts college, ranks it at 4/4 - very important, according to a survey by college counseling firm Synocate. The University of California at Irvine, Washington University in St Louis, University of Florida and University of California at Berkley love to see students who find a specific area of interest and can give back to the community. Prosthetics for Change raises thousands of dollars for the disabled in India by partnering with fast food chains and holding more traditional school bake sales. Ashita talked to Braingainmag.com about how volunteer work is less about resume-building geared towards college admissions and more about what you stand for and who you are as a person. When did Prosthetics for Change receive a Google grant? We were delighted to receive a Google Ad Grant in April this year which provides free Google AdWords advertising — up to $10,000 per month — on Google search result pages. The program is designed to help NGOs like us extend our message to a global audience. What inspired you to launch Prosthetics for Change? Ashita Dhadda speaking at the Convention on the Rights of Persons with Disabilities, at the UN, in New York. Separately, I was also struck by the fact that my cousin was far luckier than some as he had access to good medical care. What do people who are less fortunate do? How do they function? My cousin is one poignant story, but there are 56.7 million people in the world who live with disabilities. According to the US Census Bureau nearly one in five people have a disability in the United States. How does Prosthetics for Change touch lives? We have 40 volunteers who work very hard on fund-raising activities. We have partnered with several fast food chains including Chipotle and held numerous bake sales. We recently presented a check of $5,000 to Jaipur Foot USA during an assembly in school. The check will sponsor roughly 72 limbs as each prosthetic limb costs $70 a piece in India. As of today we have raised $8,300 and have a mission to sponsor 500 artificial limbs and build handicapped ramps in ten poor countries. We have already installed one ramp at the Deaf and Dumb School in Jaipur. We are also developing a gaming app to engage young people in volunteering. I’ve seen the transformation that happens when I have visited the Jaipur Foot headquarters in India. A person limps or crawls into the organization and leaves the same place in three hours walking, smiling and laughing. I watched a person climb a tree with his new prosthetic limb! His life had changed with his new found mobility. It may be a motivation for some, but I am not doing this to bolster my college application. I care about the work we are doing at Prosthetics for Change and recognize the urgency to raise funds. Every dollar we raise can go a long way to change the life of a differently-abled person in India. People with disabilities still often face overt discrimination, stereotyping and lack of respect for their basic human rights with women and girls disproportionately affected. How important is it for students to be involved in volunteer work. I would like to give a big round of applause to my school and schools across America because they require students to perform 40 hours of community service in order to graduate. Students quite often start community service because it is mandated and once they start it, they discover they like it and continue the work. It’s so easy to get caught up in wanting a new cell phone or the next shiny toy, but it’s important for us to get some perspective about how people less fortunate live. It’s important for us as students to learn how to give back to the community.